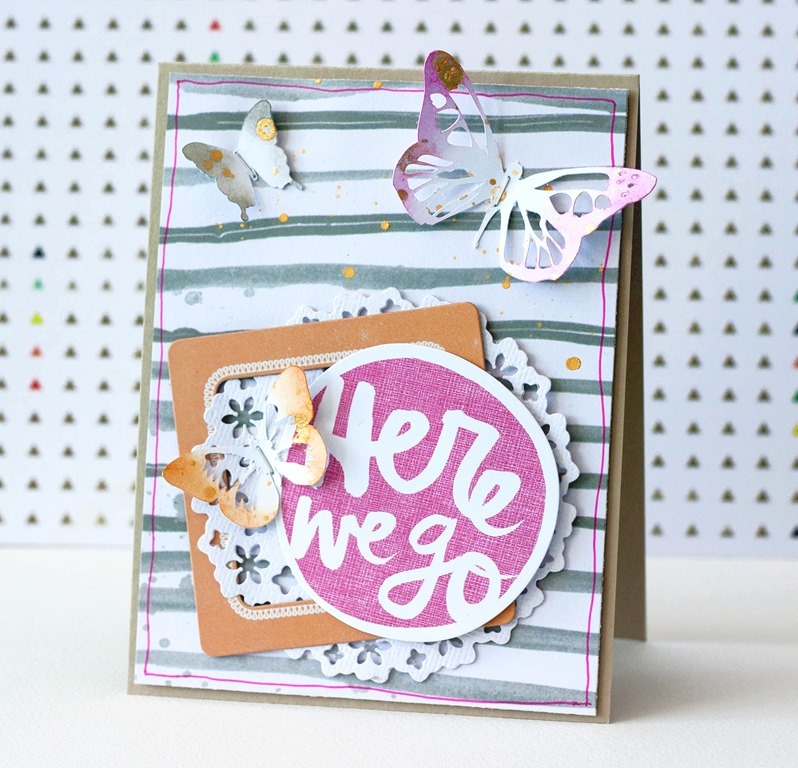 For this weeks posts at DESIGN in PAPERS we all got the same dies to create with. 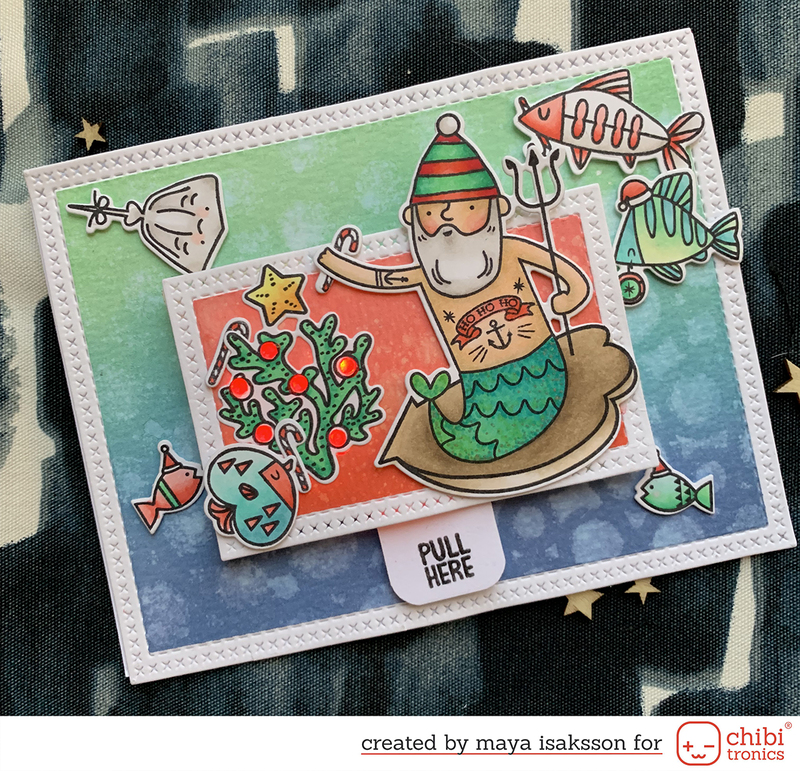 The dies are from Tonic Studios and I picked two of the three to make a couple of cards with. 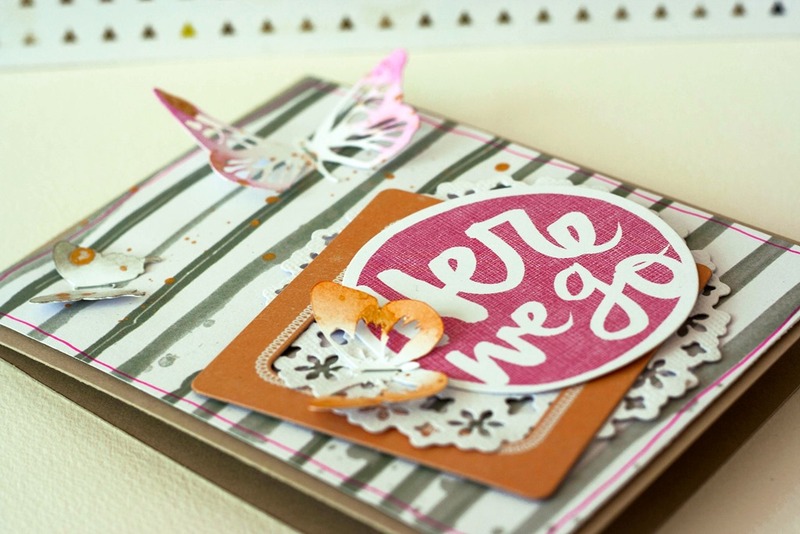 First i used the doily to make this card. I love the combo of pink and orange, very pretty. I added some gold splashes to it and colored my butterflys to match the other decorations. 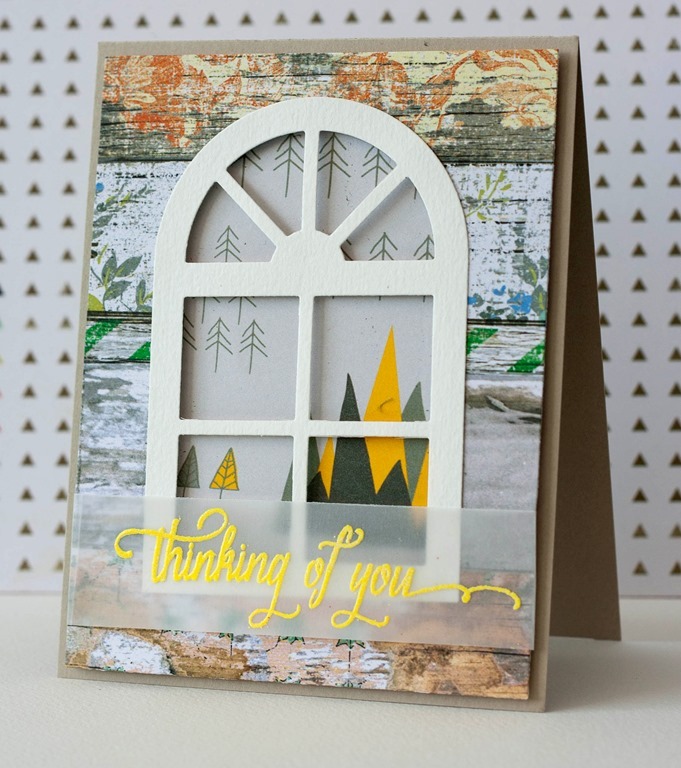 Then there is this card, using the same paper pad from Studio Calico, the Wanderlust collection. It’s really eclectic with all the different styles going on. i like it because i don’t get bored with it. i keep finding more and more patterns I like. I don’t think i ever had such a versatile collection before. I hope you liked my cards. If you liked the dies you should really check out the DESIGN in PAPERS blog this week since the whole team are using them. I love to see how different we all use the same tools and supplies!